Indy powerhouse, Terry Moore, began his career in comics with the critically acclaimed epic Strangers in Paradise, the compelling love story between three unlikely friends who find themselves bound together by their pasts. This epic series has garnered numerous industry awards including the coveted Eisner Award for Best Serialized Story and the National Cartoonists Society Comic Book Division Reuben Award. Strangers In Paradise has been translated into nineteen languages and is a popular today as when it was first published in 1993. Terry is marking twenty five years of Strangers in Paradise with a new series, Strangers in Paradise XXV, which began in January and will continue through 2018. Moore has three other award winning hit series, Motor Girl, the story of a wounded warrior and her imaginary best friend, Rachel Rising, a horror comic with a ten year old serial killer named Zoe and ECHO, a science fiction thriller. In addition to publishing his work through Abstract Studio, his own label, Moore has worked for Marvel, DC, Dark Horse and other major publishers throughout his twenty five year career. 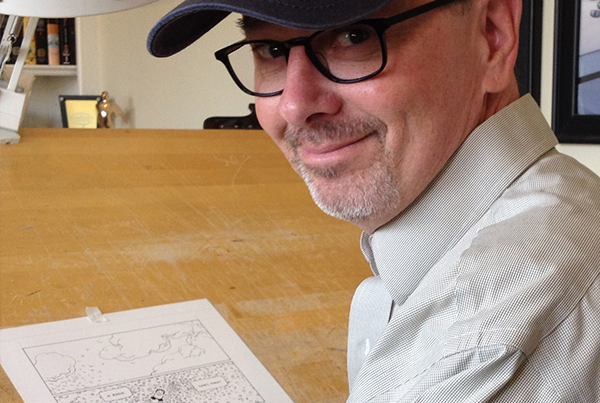 Terry is celebrating twenty five years in comics at conventions throughout 2018!